The insurance restoration industry is filled with franchised, nationwide companies. They have come with an established name and a network of connections. However, based on our experience as a general contractor reconstructing structures after they were damaged, we saw there were areas for time savings to get our clients in their buildings or homes faster. Being independent gives us more flexibility to tailor our service to each unique situation. Furthermore, being systemized, employee-owned, and having an experienced construction crew on our team, we provide many benefits to quickly mitigate, clean, and restore your property following a disaster, getting our mutual clients in their building faster and the restoration project closed earlier. As we started planning for our restoration division, we had to face the barriers associated with being a start-up and an independent contractor. However, we had many things already going for us to enter into the industry and enough exposure through our previous reconstruction projects to know how we’d like to change things in our market to set us apart from our competitors. First off, we were already a systemized company and could apply the same planning to create a seamless flow from our restoration services to our construction services and streamline the process, making it quicker for residential or business owners to get back into their home or building. Also, we are an employee-owned company which leads to many advantages for attracting quality staff and also to provide an elevated level of customer service. Our employee ownership program makes each staff member vested in the success of the project, so they will make you look good in the eyes of our mutual customer. We have 130 staff members, giving us the ability to do much of our work in house, and to accommodate large loss projects easily. Additionally, being paired with a construction company gives us ready access to back hoes and two-ton dump trucks which can make work move along quicker. Additionally, we had the flexibility to add services that aren’t common among many restoration companies. Those include content cleaning, storage, and re-construction. We have two storage warehouses to take on multiple content storage projects, if needed, and our construction division has almost 70 years of experience in commercial and residential buildings, with the ability to design and rebuild damaged structures. Over the past 69 years, Wolgast has done its fair share of reconstruction after a fire, vehicle impact, or flooding. We could see that there were delays that prevented us from starting our work as we waited for paperwork to be filed and the project to be handed to us to start construction, based on an additional company being introduced to the mix. Now, by being on the same team, communication with the insurance company can take place earlier, plans can be drawn, materials can be ordered, contractors reserved, and the process can run more smoothly to get our customers in their building quicker. We are interested in being added to your approved vendors list. Please contact us for information, 888-WOLGAST. This is also our 24-Hour hotline for emergency calls, should your client need our services in an emergency. 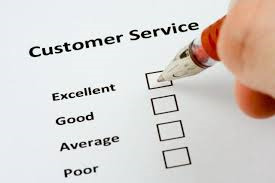 Everyone has a story to tell about customer service or the lack there of, and I can say that if the customer service was bad, the odds are good they won’t use that business again. Based on our experiences, we at Wolgast Restoration have established a comprehensive strategy to keep our customers happy and I’d like to share our thoughts with you as a business owner. In most cases, consumers have lots of choices and they can punish poor service with their wallets. As business people, we can’t afford to disappoint our customers and, therefore, should go out of our way on each and every job to ensure the best possible outcome. As a result, it’s very important that we all get customer service right every time someone uses our service or purchases products. It may only take one bad moment to lose five or more potential customers by that one person talking to their network of contacts about their dissatisfaction. 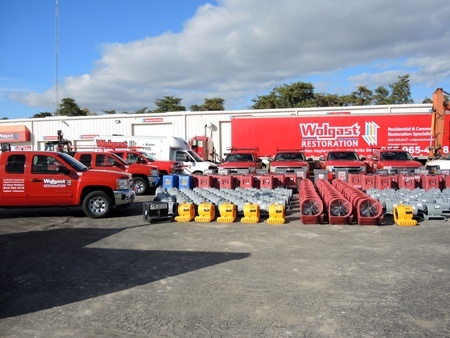 Furthermore, as an employee-owned company, each of us at Wolgast prides ourselves on our work and knows a happy customer is a repeat customer. A company that makes an effort each and every time to provide great customer service shouldn’t have to be concerned about losing customers to poor reviews, especially when they maintain quality in their products and services. Even when working with a hard to please client, if you fully apply your customer service strategy, then you know you’ve done everything you could. Personally, I would always choose to do business with companies that have GREAT customer service over another. People tend to go where they’re comfortable and treated well. Wolgast Restoration and Wolgast Corporation can give you the best customer service. Not only do we have well trained personnel, outstanding quality of service and a great safety record, we care!